« Seattle Edible Book Festival – Not so pretty, but pretty tasty! 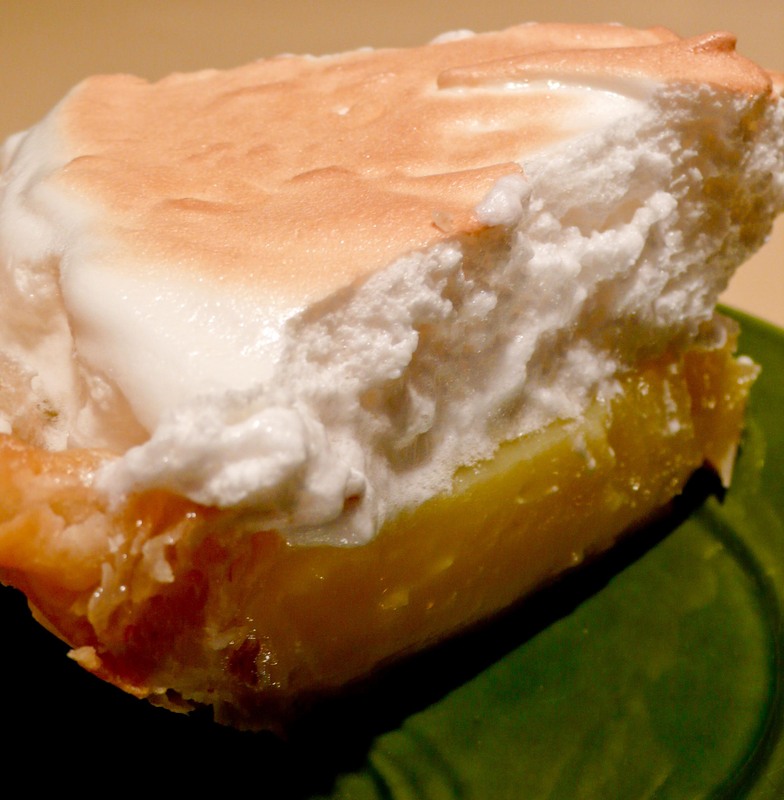 You can make the lemon filling part of this ahead of time, but do NOT make the meringue until you are ready to eat it. It keeps, yeah, but it can get weepy and the nice toasted top will happily peel onto the cling wrap… And if you can resist a perfectly done meringue pie… I applaud your will power. 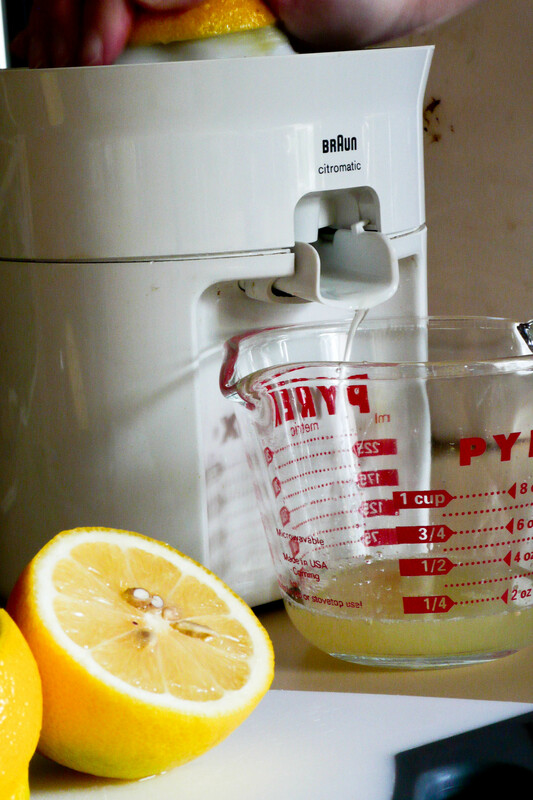 Final note – please please please use freshly squeezed lemon juice. I am a huge fan of the plastic lemon for general ease, but really. The lemon is the whole reason for the pie. The plasticky, acid bite of bottled lemon juice, however high class will just not deliver the tears of gratitude that I seek with every pie. Now. The recipe. I am entirely grateful for this juicer. Usually I have to use brute force. 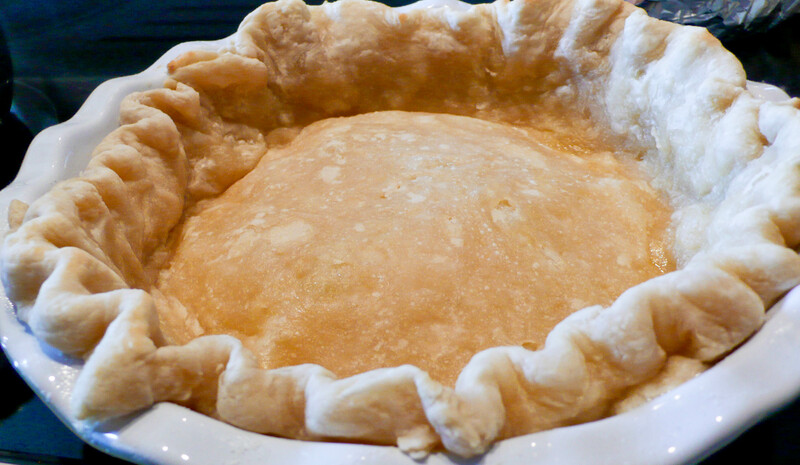 You’ll need one fully prebaked pie shell. 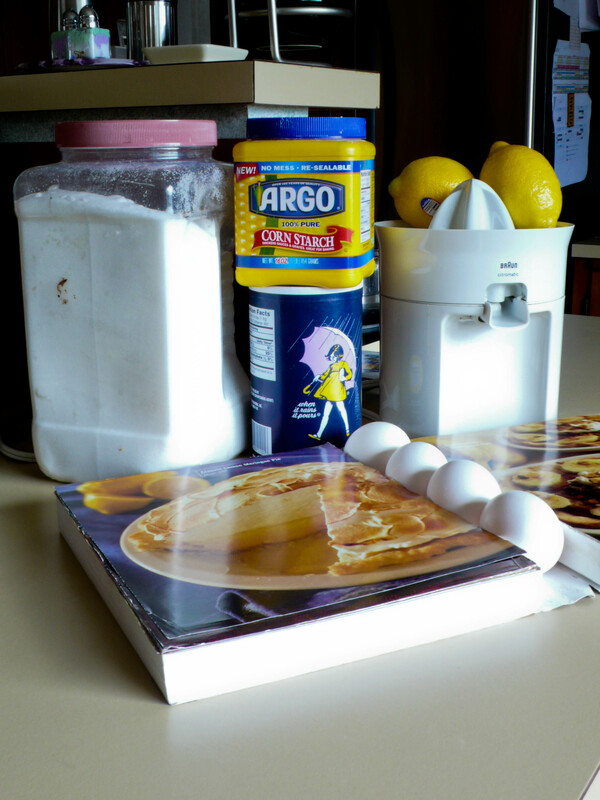 See this post for the crust recipes and this post for instructions on that particular endeavor. Let me reiterate two things, however. 1: Freeze that sucker for fifteen minutes before prebaking. It will help prevent shrinkage. 2: Poke some holes in it with a fork after you remove the foil and weights but before you stick it back into the oven to finish it off. Otherwise it will puff up. And go check on it from time to time, because it will want to puff up anyways, no matter what precautions you may have taken. The fat is producing a lot of steam, happily making your flaky layers. But you need it to give it somewhere to go, afterwards. Let that cool off on a wire rack. Now. Let’s get cracking on the lemon part. The pie bible is getting sadder and sadder. In a large-ish saucepan, combine the dry ingredients and give them a quick whisk to combine. I find it fun and mystical when the cornstarch smokes up a little at this point. It’s as if my kitchen knows that something tasty is going down and wants to give me a little dramatic flair. 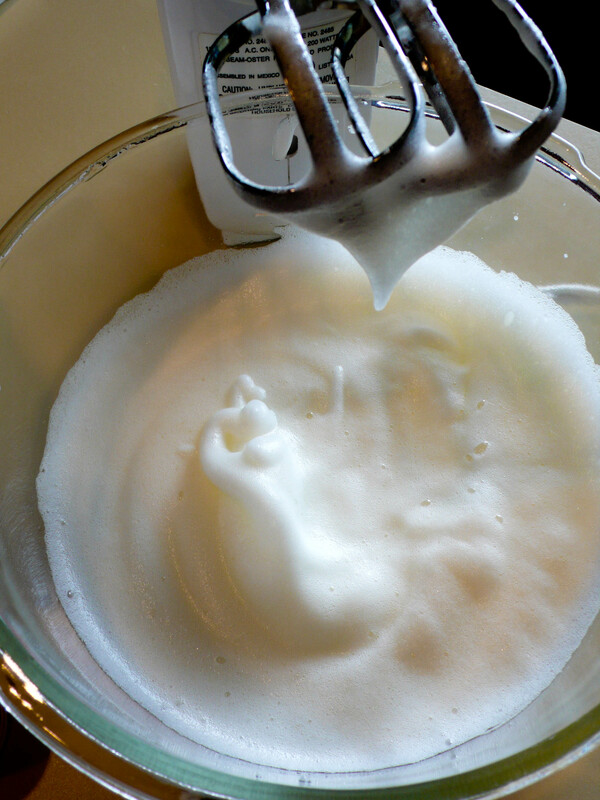 Dump in the rest of the ingredients and whisk it really well, so that everything is one smooth (enough) texture. Cook over medium heat, whisking all the while, until it comes to a boil. My book says this should take 5-7 minutes, but that’s a load of bull, at least on my stove. Mine usually takes about fifteen. 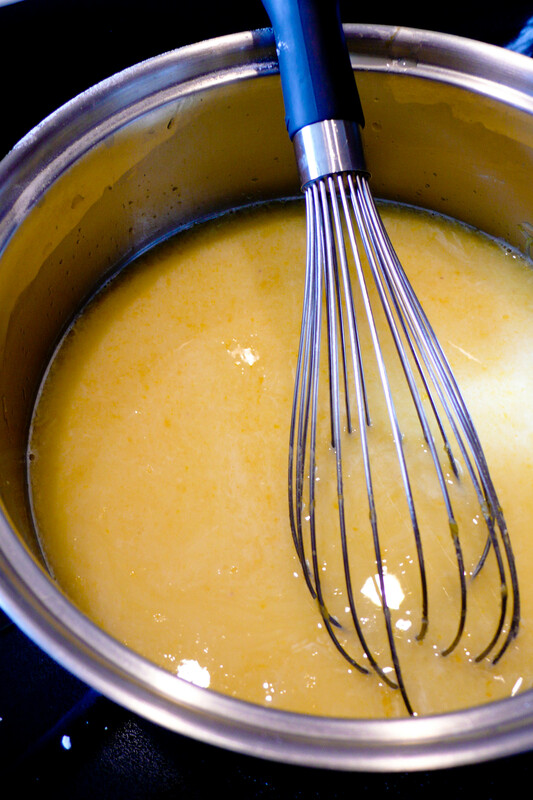 When it has come to a boil, you’ll feel the mixture getting thicker and resisting the whisk. Keep stirring at a boil for a minute and a half – the filling should be super thick and delicious looking. Now. I always forget this part. Take the lemon filling off the heat and drop in the butter pieces, one at a time stirring them in. The small amount of butter will make it glossy and rich. This kind of step is why I make it a habit to put away every ingredient after I’ve used it. Because I turned around to survey the kitchen and saw the butter sitting there and went…uh oh. Surreptitiously I turned back to the pie, plopped it on top and took a spatula to my pie. No one noticed. 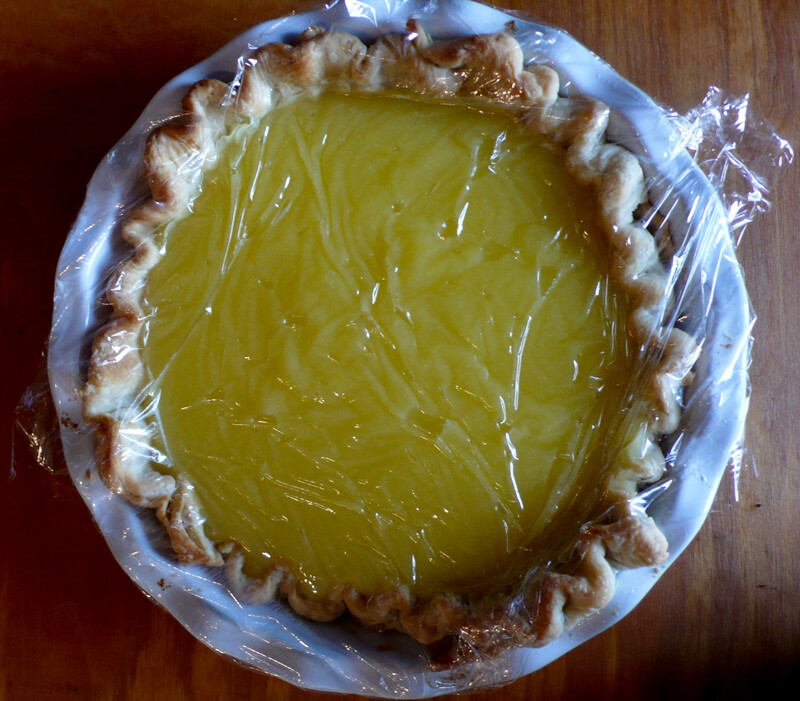 Press some cling wrap into the filling of the pie, making sure to not leave any air bubbles or gaps. This will prevent an icky skin from forming and the lack of bubbles will prevent steam from collecting and condensing. Let cool to room temperature on a wire rack, then refrigerate for up to a day. Go ahead and snitch some filling before putting it away. 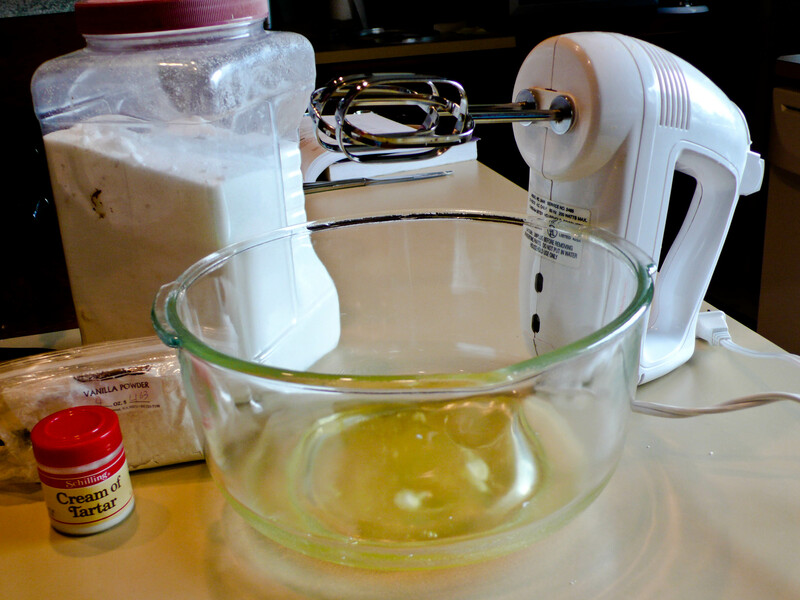 That whisk is a good place to snitch from. Preheat your broiler. 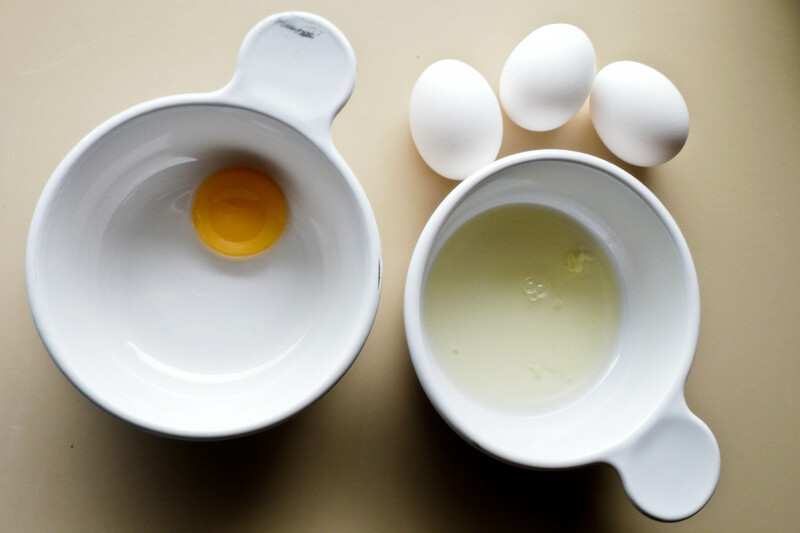 Beat the egg whites on medium high until they hold soft peaks. Beat in the cream of tartar and salt, then Gradually add the sugar in one tablespoon at a time. 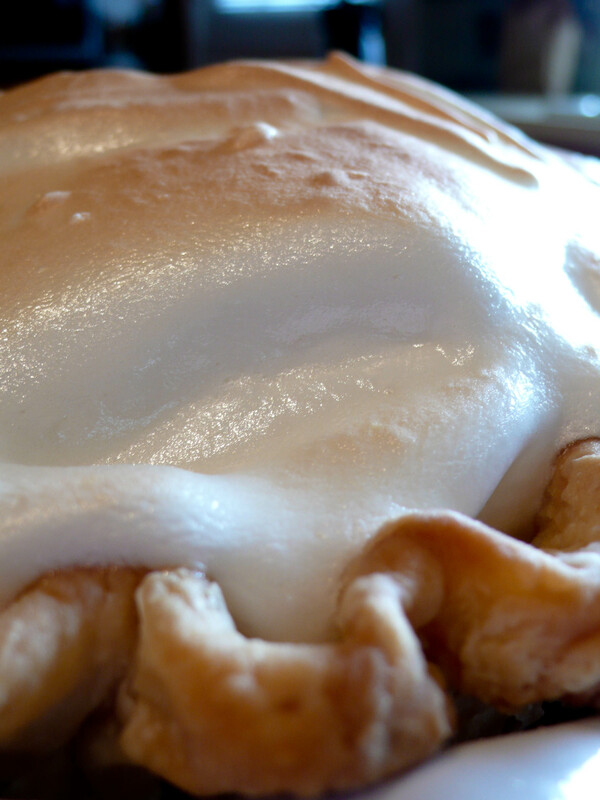 When the meringue is thick and glossy, beat the vanilla in briefly. Scoop all the meringue onto the chilled pie filling (remove the cling wrap first) and heap it into a dome, making sure that it is flush against the crust and completely covers the lemon. 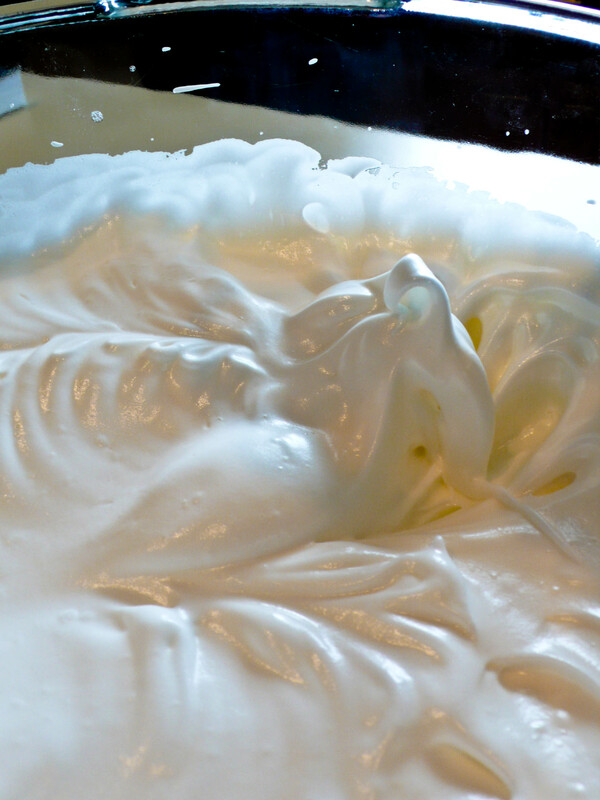 If you’d like, take the back of a spoon to the meringue in places to pull up little peaks. 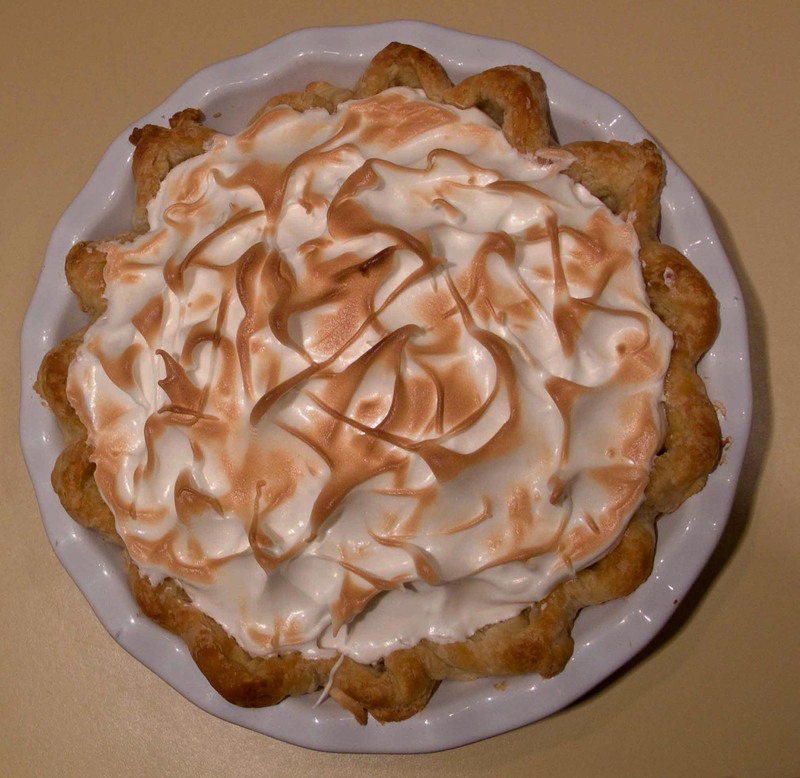 When you are finished being artistic, slide the pie under the broiler, rotating it to get it evenly browned. This happens very quickly, so keep an eye on it all the while. Do NOT leave it unattended. Pull it out, slice and enjoy. I had a piece of lemon meringue pie at a restaurant in Angers today. It was…enjoyable, but yours is better. The only thing that keeps me going is knowing that when I get back home, there will be pie. 🙂 Miss you!